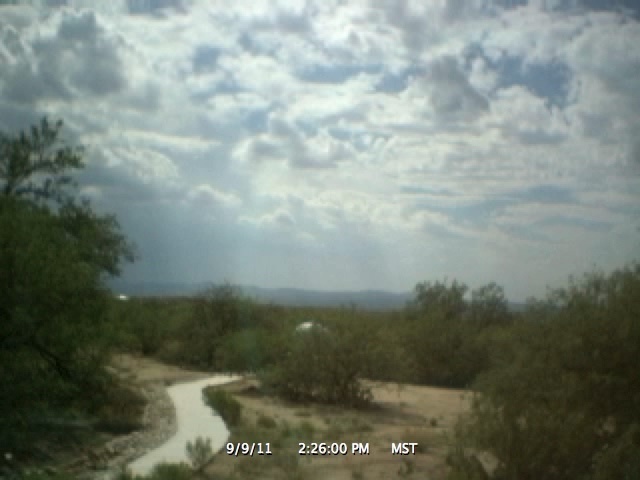 Time-Lapse Video from 9 September 2011. View is towards the west. 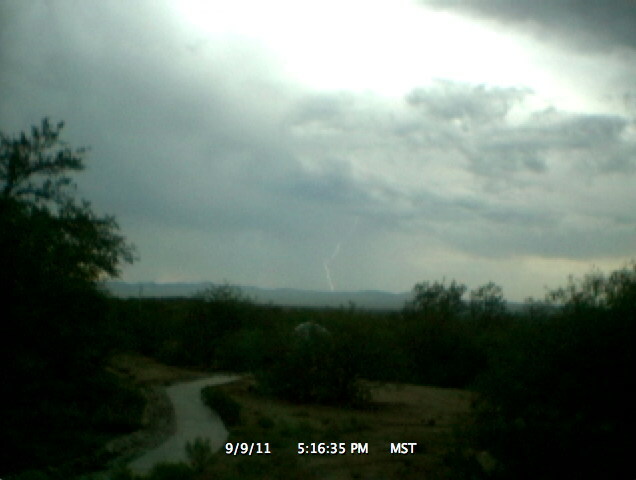 Did you see the lightning strike in the video at 5:16:35 PM? If not, see the frame from the video below. 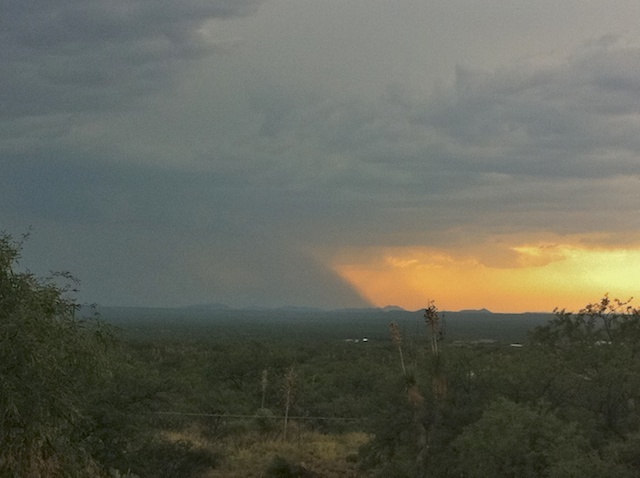 About an hour before the lightning strike, I took this photo of the storm to the west with the iPhone 4.